This ‘Excellent in Every Aspect’ ISI rated independent day and boarding School requires a suitably qualified, proficient and passionate teacher to join our friendly English department. The role will be teaching GCSE, A Level and International Baccalaureate across all age ranges at our Senior School (Year 9 to 13). The successful person will work closely with the Head of English to continue raising our standards of teaching, learning and achievement within the department. This vital role will provide the opportunity for the right person to showcase their skills and enhance their career within a prestigious and community-orientated environment. Duties will include teaching English for 41 lessons per fortnight, overseeing the day to day running and strategic direction of the department, assisting with quality assurance including learning walks and work scrutinies, monitoring student progression and assisting with lower school admissions. This position is a permanent role working full-time (44 lessons per fortnight with three lessons per fortnight as time dispensation in order to fulfill the second in department role). We are looking for someone to commence from September 2019 (or sooner if available). Felsted School has its own salary scale which compares favourably against other independent schools and is well above that of the maintained sector. Second in Department post holders are placed on a higher point on the scale. It is essential that applicants are committed to delivering exceptional learning to our students, have excellent subject knowledge and willing to contribute to co-curricular activities and student life. Benefits include free life insurance and parking, excellent contributory pension scheme, discounted BUPA healthcare scheme, lunch on full days worked and unlimited use of the Felsted Gym and pool facilities, on-site Coffee Shop by illy and membership to Felsted Connect; an online multi-platform engagement tool where employees have access to hundreds of exclusive discounts and savings from online and high-street retailers. 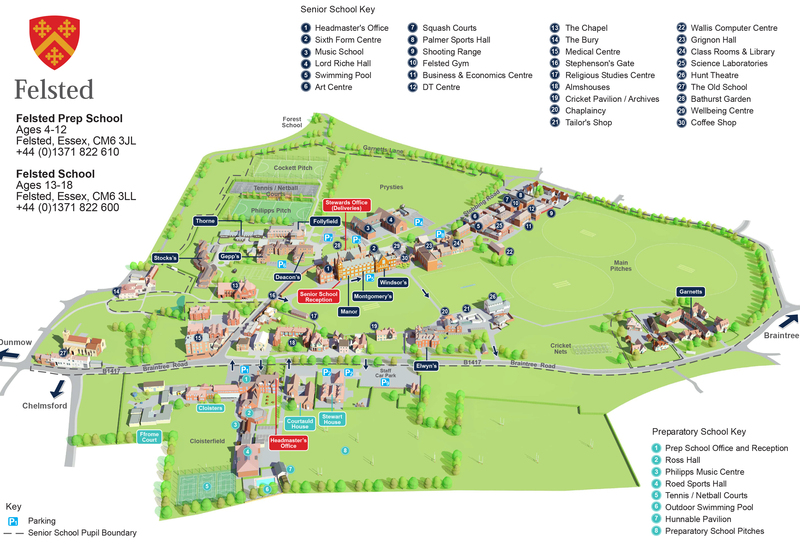 Felsted is a leading day and boarding independent school based in a stunning village campus in North Essex. Founded in 1564 by Richard Lord Riche, who had been a Lord Chancellor under King Edward VI, Felsted today provides an exceptional holistic education to approximately 1100 boys and girls aged four to eighteen. We celebrated our 450th anniversary in 2014, one of only a handful of Schools in the country that have claimed this historic milestone. We employ more than 160 teachers and 440 operational staff in a community orientated environment, ensuring our pupils receive the very best in learning and co-curricular activities. Closing date for receipt of applications is Wednesday 24 April 2019 at 12:00 noon. Interviews will be held shortly after the closing date. If you would like to apply for this position, please visit our website www.felsted.org/employment-opps to complete our online application process. Felsted School is committed to equal opportunities, the safeguarding and promoting the welfare of children and young people. Therefore, all employees are required to undertake a Disclosure and Barring Service check. Address: Felsted, Essex, CM6 3LL, United Kingdom.